It's funny how we all have items of clothes that we shy away from, we feel uncomfortable wearing or we simply have no idea of how to style them. For years I have had a love hate relationship with jeans. I LOVE them on other people; but HATE them on me! I have struggled to find the perfect fit, the perfect wash and don't get me started on the perfect length. I am quite short at 5 '3 and even the 'regular' length swamps me. When Fashionchick offered me the chance to collaborate with BHS - I knew I wanted to tackle the great denim debacle! I'm not sure if you all know this but BHS stock Evans and other brands such a Dorothy Perkins as well as their own ranges. 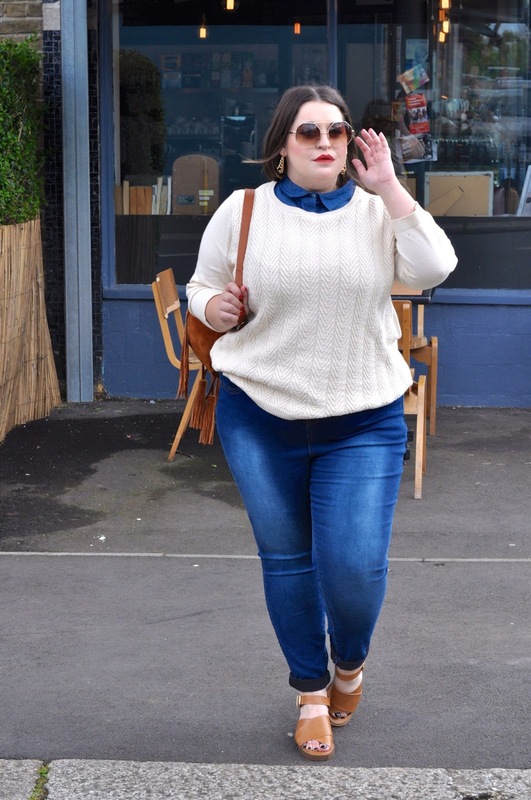 Faced with the challenge of finding an outfit for £50 I started off with a pair of *Evans Mid Wash Super Stretch Skinny Regular Length Jeans - now, honestly the fit is great and I love how tight they are but as per usual they are far too long for me. I don't mind the rolled up look but I'm hoping in the future that I'll be able to get some jeans that don't swamp my legs. 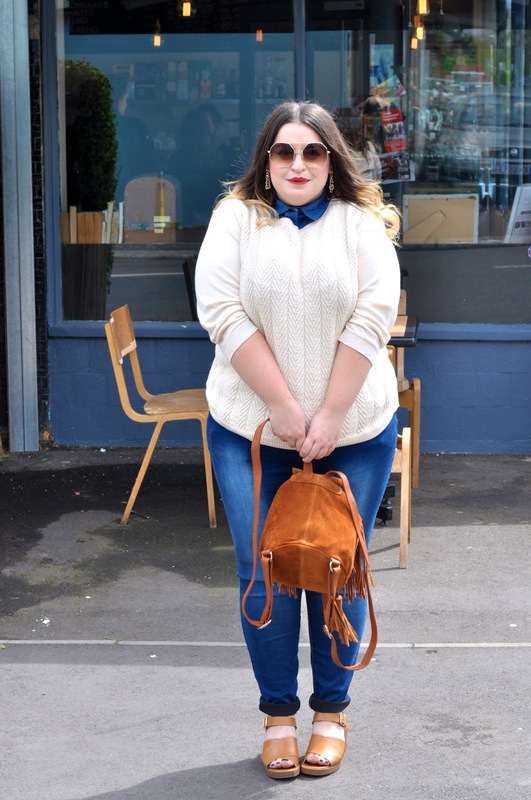 This *2-in-1 jumper is my fave item in this whole outfit. It has the illusion of a denim shirt underneath but actually it's just a collar attached to the neck of the jumper! I can see me wearing this with jeans, denim skirts or even under a pair of dungarees. 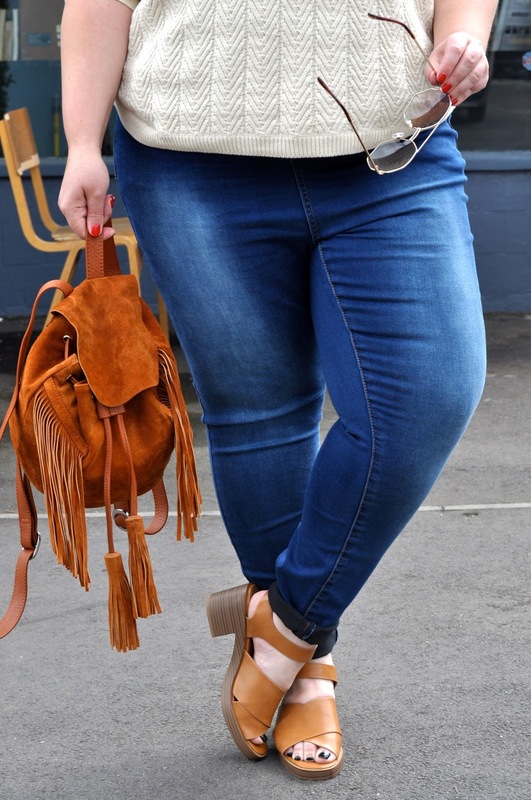 I love the colour combination of tan and denim so my new Chunky Tan Sandals seemed like a perfect fit for this outfit, as did my beautiful new mini Suede Fringe Backpack and gold sunglasses. 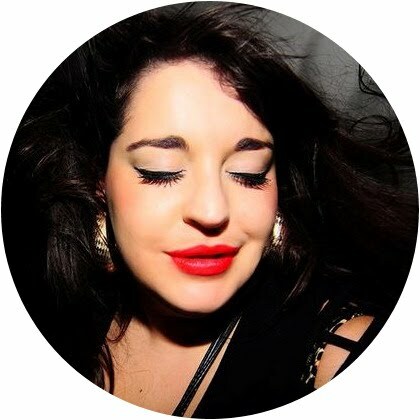 I've also been wearing these Gold Chain Earrings constantly - my love for gold jewellery will never fade! This post was written in collaboration with Fashionchick and BHS. *Denotes a gifted item for review. Well I think you look FANTASTIC in jeans! This may be my most favorite outfit of yours. You are just as tall as I am. A curvy shorty. I really like the shirt. 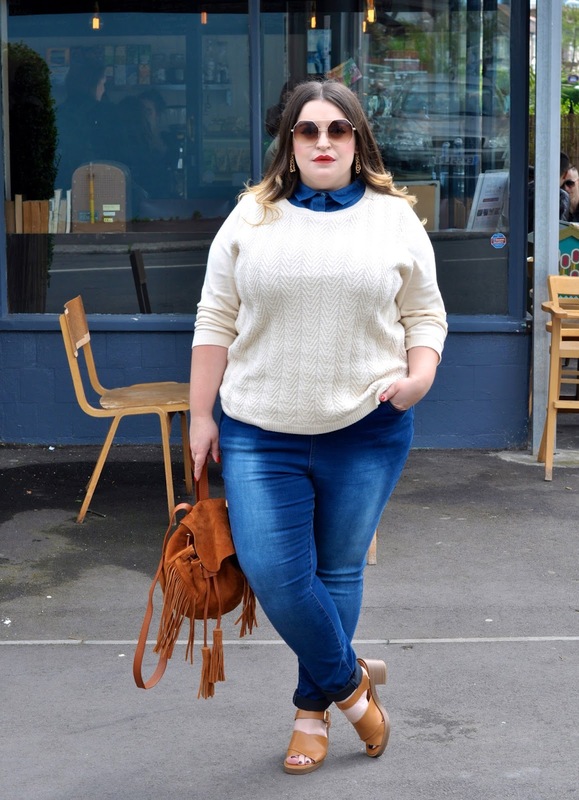 I love the look of a collar under a jumper, but usually I do not wear it because it's a layer to many for me. Always hot. Too bad BHS doesn't ship to the Netherlands. 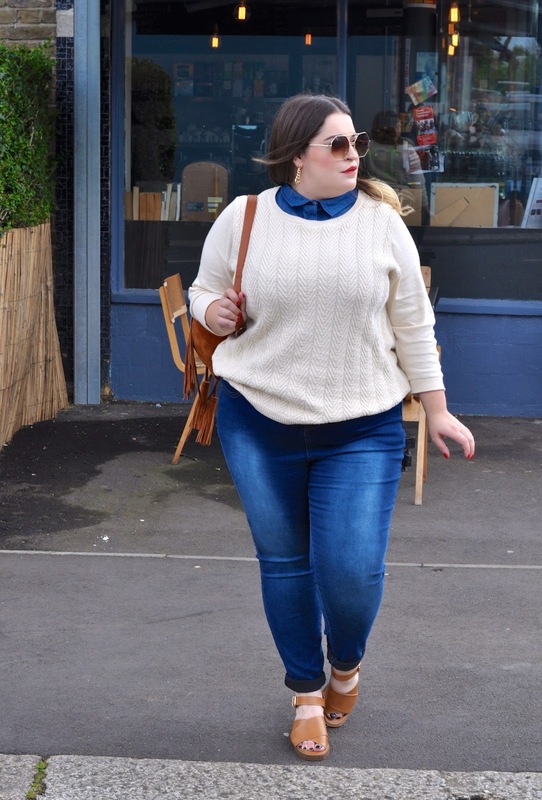 Do you know the Ridley Skinny Jeans from Asos Curve? Some models come in a shorter length and they work well for me. Not perfect yet, bu really well.